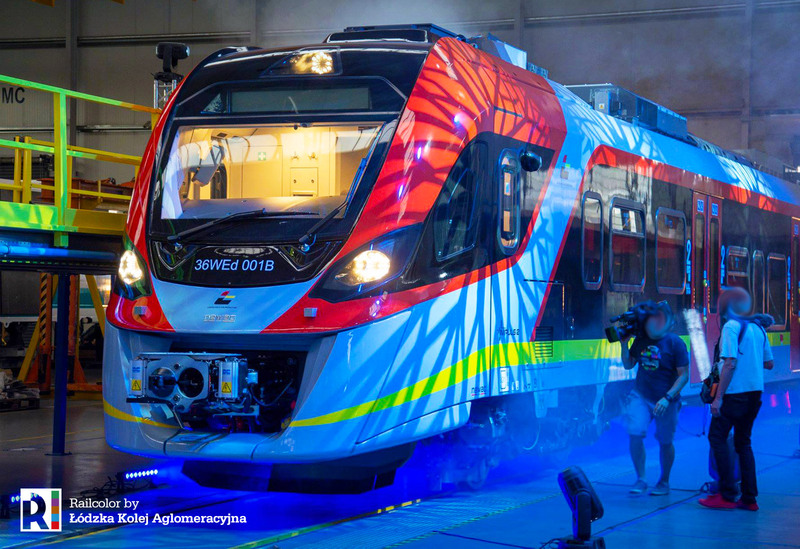 18.06.2018, Nowy Sącz: Time for the ‘roll-in’ of the first Impuls 2 EMU for a Polish operator – This is first new Newag train for Łódzka Kolej Aglomeracyjna (ŁKA). 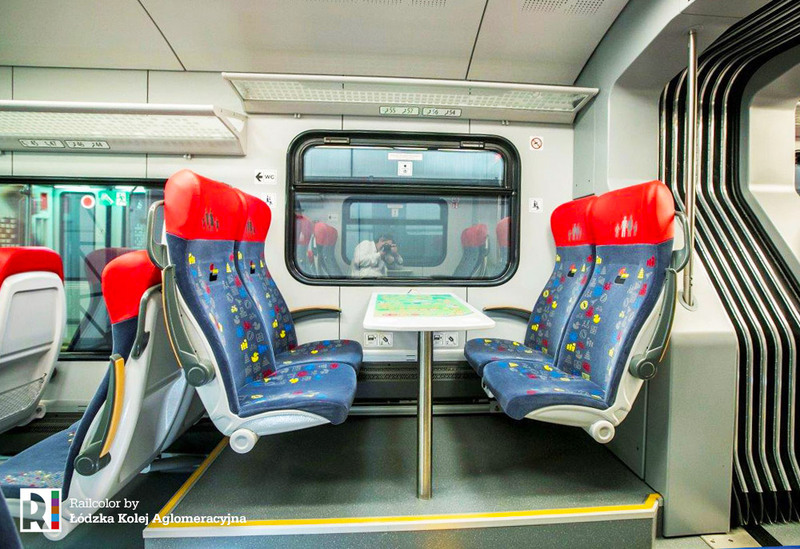 The first trains will enter service in the Lodz area next December. 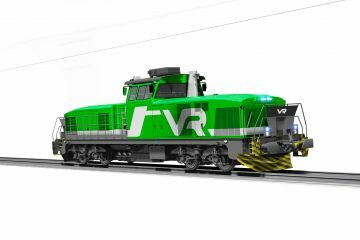 ŁKA is awaiting the delivery of fourteen 3-car units of the type 36WEd – the contract was signed in 2017. 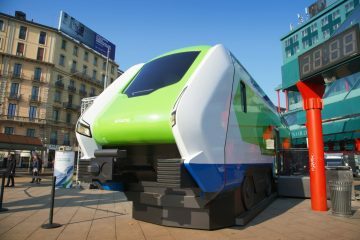 The first unit will make it first runs at the end of this month in Krakow, and will then be transferred to the Żmigród test center. 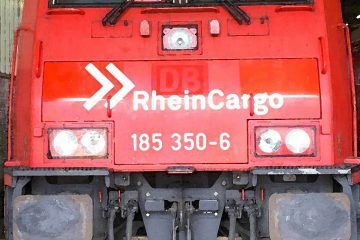 In September it will be presented in Berln during InnoTrans 2018. 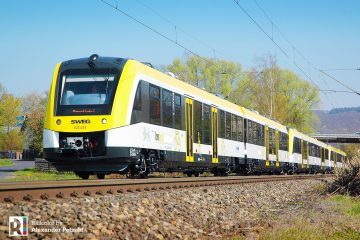 The arrival of the first Newag EMUs marks the start of the second stage ŁKA’s transport plan, which started with the delivery of twenty 2-car Stadler FLIRT EMUs in 2014-2015. Commercial operation on the LKA network, which connects Lodz with Koluszki, Kutno, Łowicz, Sieradz, Skierniewice, Zgierz and Warsaw, commenced in the summer of 2014. 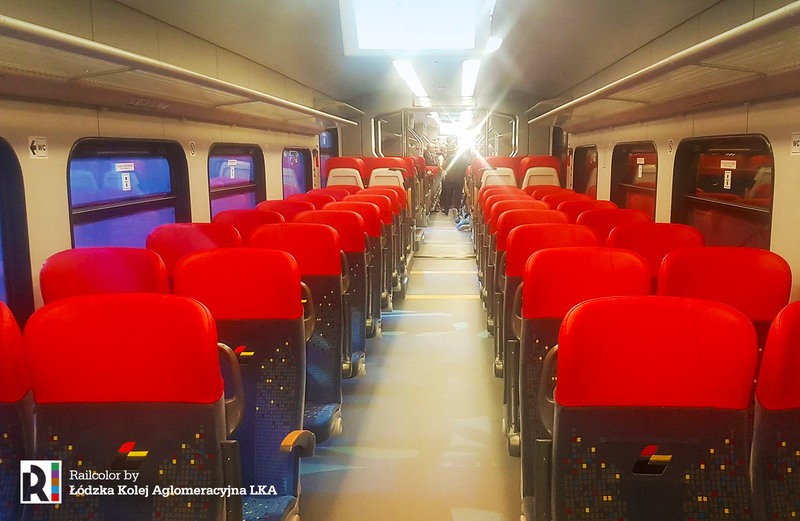 To be able to accomodate the growing number of travellers using the new LKA rail network, the operator choose to order 3-car consists (in stead of 2-car) with five entry doors on each side. 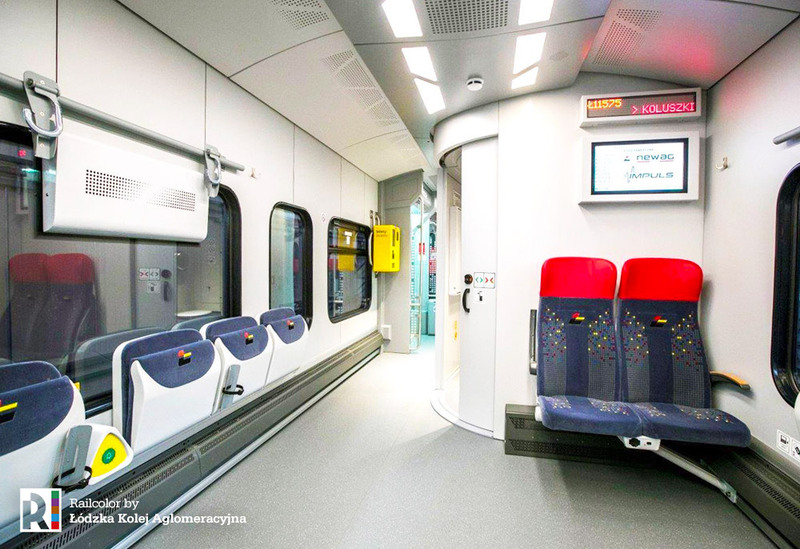 The interior features numbered seats with power plugs, USB chargers, ticket vending machines, defibrillators and a special family area. A nice touch: The family vis-à-vis seat group features a table with an integrated boardgame and a rolling dice. Of course its possible to take your bike on the train and the train and its toilet are accessible for people with reduced mobility. 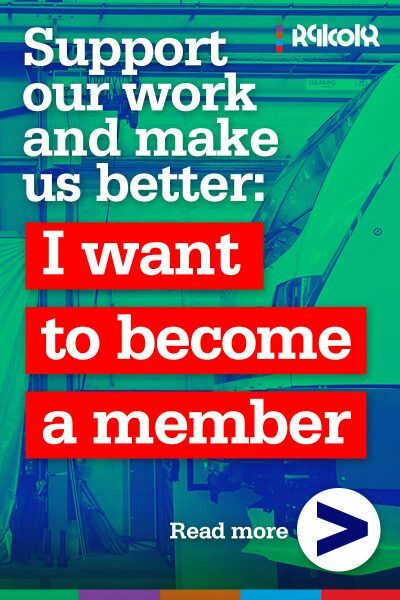 Newag will be responsible for the service and maintenance of the new trans for the next twelve years. 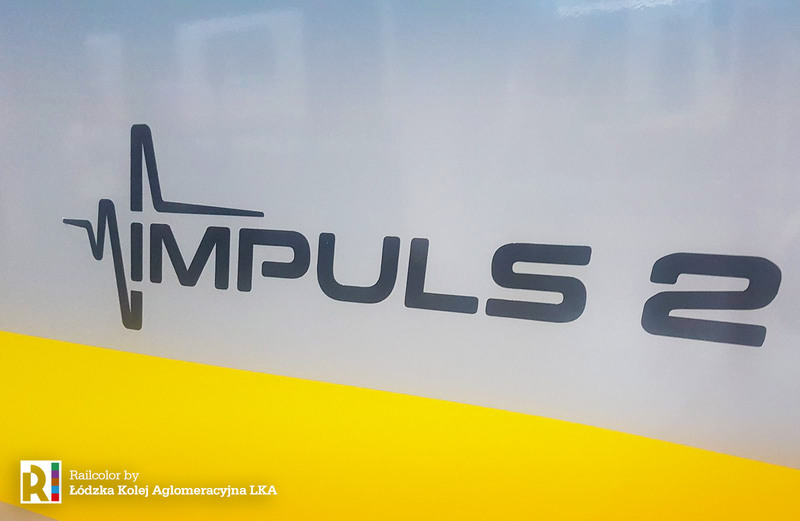 Railcolor: indeed the LKA EMUs are the first Impuls 2 trains in Poland. 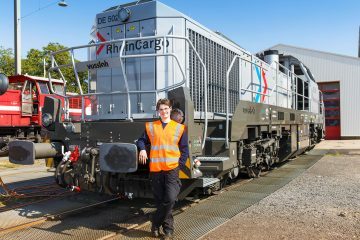 But they are not the first built by Newag. 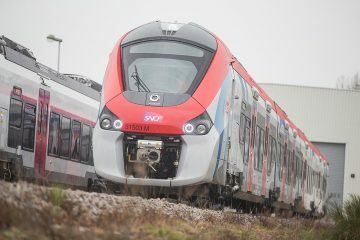 Ferrovie del Sud Est from Italy ordered five such trains in 2015, of which the first unit (‘ETR 322’) was completed in 2016. 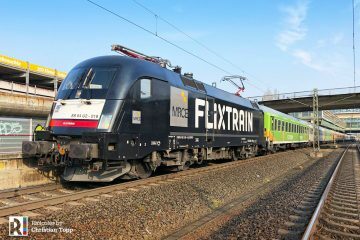 Homologation and delivery of these trains in/to Italy is still pending.